Makenzi Fisk’s stories take readers to crime’s gritty underbelly, northern-style, where few can tell the bad guys from the good ones, and a little bit of intuition always helps. 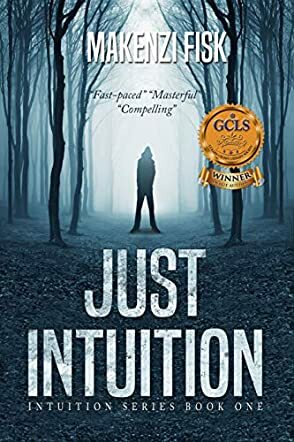 Her first novel, Just Intuition, earned her the distinction of Golden Crown Literary Society Debut Author as well as Mystery Thriller Finalist. Makenzi is retired from policing and currently lives in Calgary. She looks forward to summers in the ruggedly beautiful Canadian Shield, the inspiration for her backwoods thrillers. Just Intuition (Intuition Series Book 1) by Makenzi Fisk is a murder mystery. A woman dies in a fiery blast, but was it really an accident? Officer Erin Ericsson wants to know and she will stop anyone getting in her way. After the police rule the death as an accident, she goes against her superior officer and the investigating detective to find out what happened for herself. Her girlfriend, Allie, is hiding a secret, one that haunts her with nightmares. It’s a secret that could help Erin find the killer, but can she convince Allie to help? Together, they must unmask a shadowy predator before it’s too late and together they must face up to horrors they meet along the way. Just Intuition (Intuition Series Book 1) by Makenzi Fisk is a compelling tale. The opening chapter is enough to hook a reader into wanting more, and leads straight into a psychological, haunting tale of terror. The addition of the paranormal gives this story more depth and a different look into the mind of a killer. The plot is ingenious, and it gave me plenty to think about. With the excellent character development, it was easy to fall into the story and walk by the side of the characters, living the story with them and, if you have a vivid imagination, you won’t find it difficult to picture what is happening. This is brilliantly written, an incredible thriller with plenty of action and twists along the way. You might think you know who did it, but you don’t and you won’t know until the very end. This is the sort of book that could easily be made into a film or into a series. Looking forward to Book 2.